Business Attorney Irvine - Mark D. Holmes, Esq. Mark worked his way through CSU-Sacramento, where he graduated with a B.A. in English in 1981. He was awarded the Top Twenty Senior Award at graduation. Mark then attended a year of graduate work at CSU-Sacramento, studying Old English, Middle English, German, Latin and Greek. At the end of the year, Mark received a fellowship to teach American Literature for a year at Johannes Gutenberg Universitaet in Mainz, Germany. While in Germany, Mark attended the Goethe Institute; taught German university students American Literature; and attended seminars in German, American and English literature. Mark successfully passed exams in both Middle High German and Modern German Literature. While in Germany, Mark frequently traveled to other countries, including Germany, France, England, Italy, Spain, Switzerland, Holland and Greece. He also toured Greece and Italy by train. It was while living in Germany that Mark learned to play soccer – a passion he still follows – as an avid spectator. After his fellowship came to an end, Mark worked for four years in the 1980’s as a manager of retail operations, with annual sales as small as $600,000 per year and as large as $12 million; with as few as five employees and as many as forty employees. While Mark was working as a manager, he also received a Masters of Science in Business Administration from Boston University in 1986. Because Mark so successfully managed his own operations, he was frequently asked to trouble shoot and audit other operations in order to improve their accountability and performance. After receiving his Master’s degree in Business, Mark taught courses at the City Colleges of Chicago in management, finance, accounting and real estate. The year before he was accepted to the University of Texas School in Austin, Texas, Mark was transferred to Dallas, Texas, where he spent a year teaching other managers how to improve the operation of their facilities. Mark taught sales, marketing, financial analysis and accounting. While attending law school, Mark took all of the available courses in business, corporate, securities, tax and real estate law. He served as Research and Submissions Editor on the Texas International Law Journal. He also had his Comment published; and in his last year he co-wrote an article with Mark Baker, Professor of the University of Texas School of Business on Latin American Foreign Investment Law. Since law school, Mark has worked on a wide variety of maritime, business, corporate, commercial and real estate matters. He worked on matters involving foreclosures of preferred ship’s mortgages; insurance disputes general average; disputes involving ship repairs and modifications and other necessaries ship charters; cargo losses and disputes; oil spills; personal injury and death cases involving the Jones Act, Longshore Act, Death on the High Seas Act, as well as general and state law products liability matters. Mark is a member of the Maritime Law of Association of the United States; and is a member of the Recreational Boating Committee. 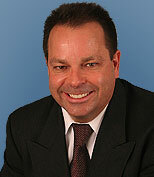 Mark became the General Counsel to the Marina Recreation Association in 2001. As General Counsel, Mark has presented numerous seminars on maritime law and related matters for the Association’s members; and written numerous articles on maritime, marine, business and related matters. In the meantime, Mark has worked on numerous business transactions and litigation involving the purchase and sale of business and corporate assets; real estate; copyright; trademarks and unfair competition. Mark has served as counsel to over 100 corporations; and is very proud of the fact that he keeps most of them of out of litigation so they can build their businesses. By contrast, Mark has been lead counsel in both state and federal trials; and at binding arbitrations. Mark always strongly encourages his clients to consider every means to avoid the expensive and risky process of trial – whether it is mediation, settlement conferences, or binding or non-binding arbitration.